How can we help you? Use the forms in the Subscriber Services section if you wish to make changes to your name or address, or if you have any queries about your subscription. The Instruction Services will help you in matters concerning the sewing instructions or patterns. You can get answers to many common questions directly in the FAQ (frequently asked questions) section!You will also find our online Invoice Payment Form here. Do you wish to make changes to your subscription, name or address, or do you have some other queries regarding your subscription? By using our Subscriber Services form your will reach the right person and your issue will be dealt with promptly. Are you contacting us about the content, instructions or patterns of our magazine? Would you like to make requests for sewing patterns or give feedback on the magazine? Can we help you? We compiled here answers to the most common questions that we receive from our customers. Here you will find the address of our fabric store in Rovaniemi and a link to our online shop at Etsy. Learn also about our collaborative partners.  You can pay your invoice easily and safely using our online payment form.